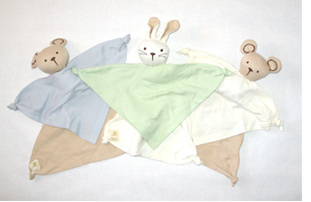 Piccolo Bambino was founded by Brenda Katz in 1994 in Montreal, Quebec, Canada, with a single rolled baby blanket and toy. Today PB has grown to international acclaim with retailers carrying the PB line all over the world. 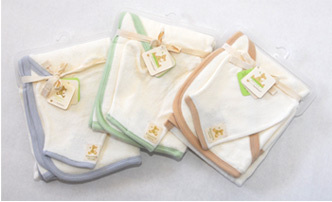 They specialize in clothing and accessories for newborn baby up to 12 months and they also feature a preemie collection in their Organic line. Organically grown cotton is produced without the use of pesticides, synthetic fertilizers, fragrances, harsh dyes and bleaches.